I'm super, super excited to show off my newest pouch pattern today, yay! 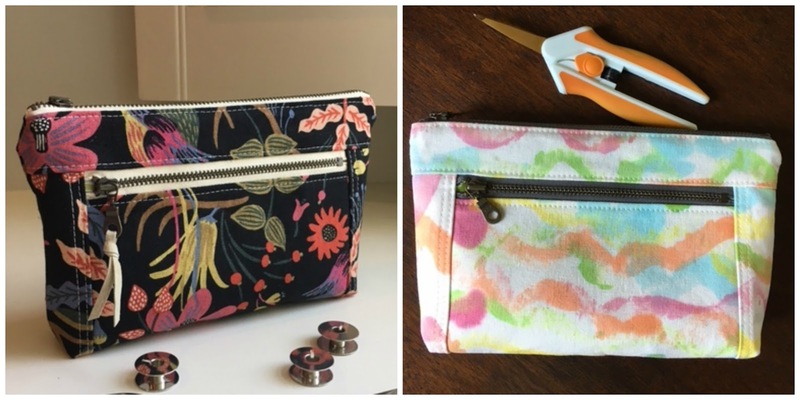 A double zipper, super handy pouch that comes in two sizes. 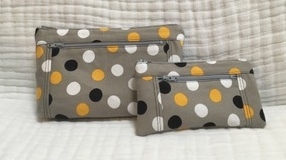 Large one would make a fabulous pencil or make up pouch, and the small one is a perfect coin pouch. Small size actually fits my Iphone SE (it's on a smaller side, so if you have any of the larger phones and want it to fit into your pouch then go with large size). As usual, I enlisted help of some lovely makers to test the pattern for me. Here are their beautiful creations. Thank you so very much, ladies. You did a fabulous job. 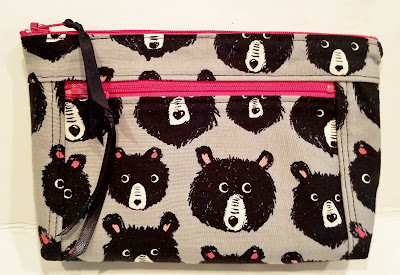 I hope you guys like this pattern and will love making (and using) your own Devon Pouches. 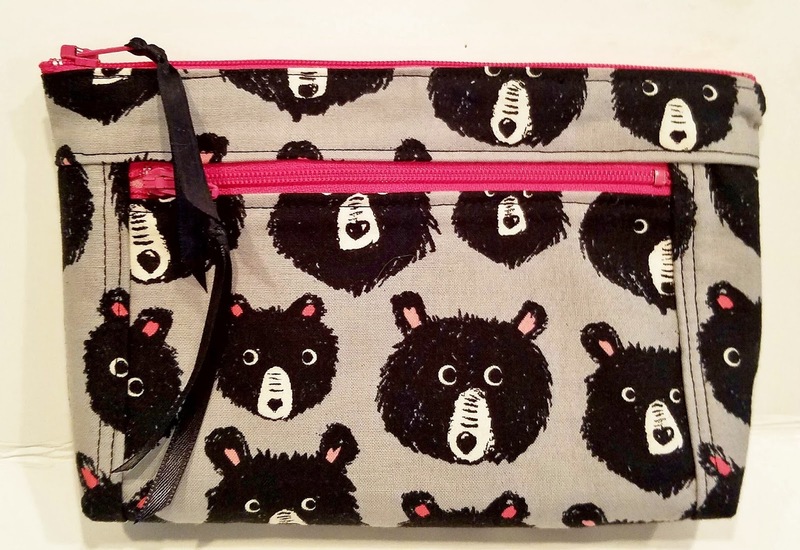 You can purchase Devon Pouch pdf instant download pattern by clicking on the button below or by visiting my etsy shop here. And, for the next 48 hours, I'm offering this pattern at a discounted price of $6.00, after that it will be $8.00. 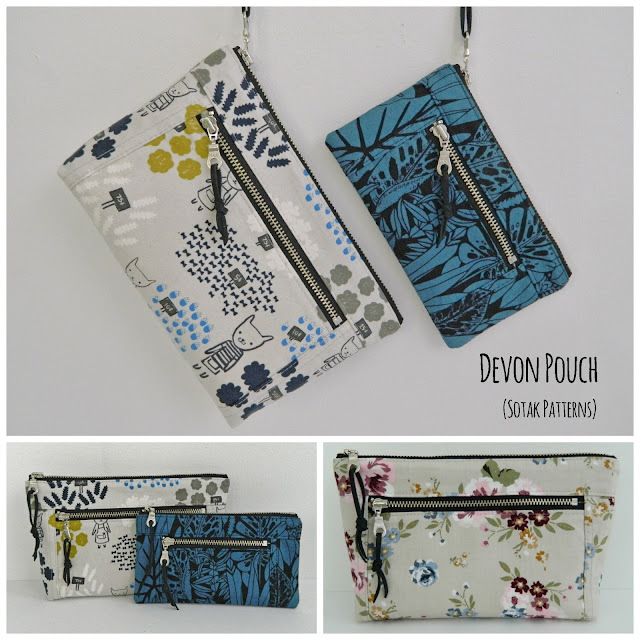 All of your devon pouches which you have shared are simply amazing and very stylish. I can't describe my feelings at this time, I am just wanting to grab them out for me. They are very nice. Do you remember the name of the floral fabric you used on the Devon pouch? I think it is absolutely beautiful! Unfortunately I don't :(. Sorry.